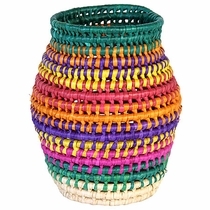 Our Mexican palm baskets and other woven palm products represent one of Mexico's oldest traditional crafts. 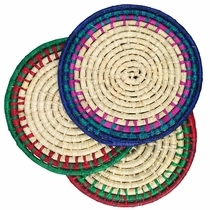 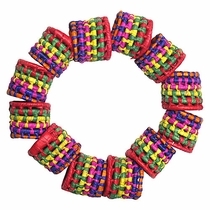 The handmade baskets, place mats and coasters will add festive color to your table setting. 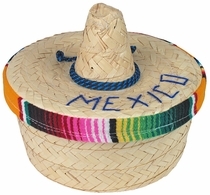 These durable and useful Mexican imports make a great addition to any southwestern or Mexican decor. 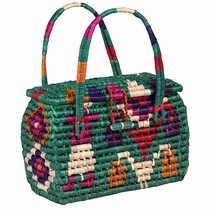 All of our woven items are produced by hand by local basket crafters in the villages throughout Mexico where an abundance of palm groves are found. 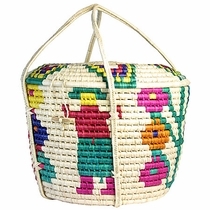 The designs shown on the baskets and other palm products on this page are representative of the numerous traditional Mexican basket designs we stock. 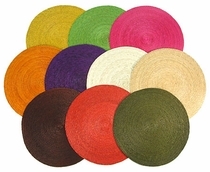 The items you order will be chosen from our current assortment of available colors and designs. 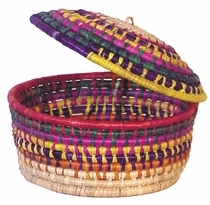 The item you receive will likely be different than the picture on our website. 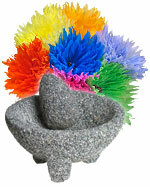 Also see our collection of Mexican Paper Flowers and Molcajetes & Ristras.